4th Grade teachers!! 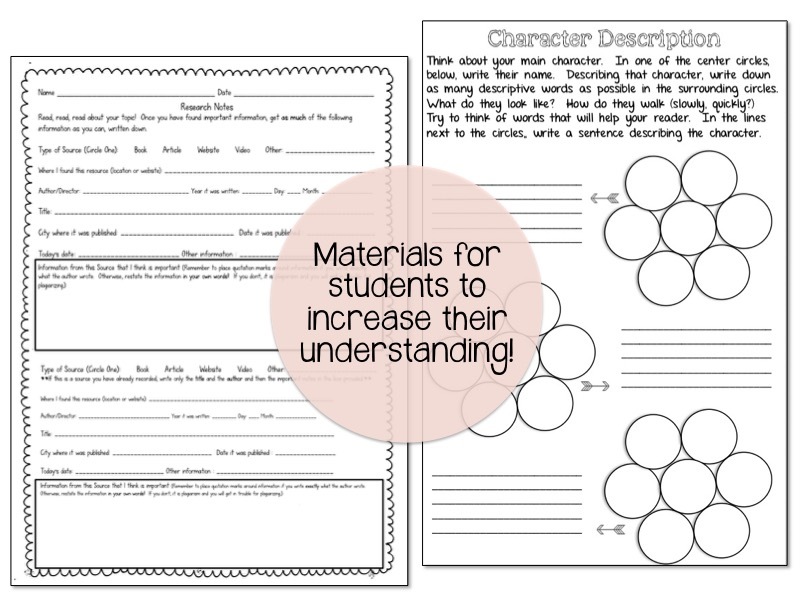 Have you checked out my writing units yet? 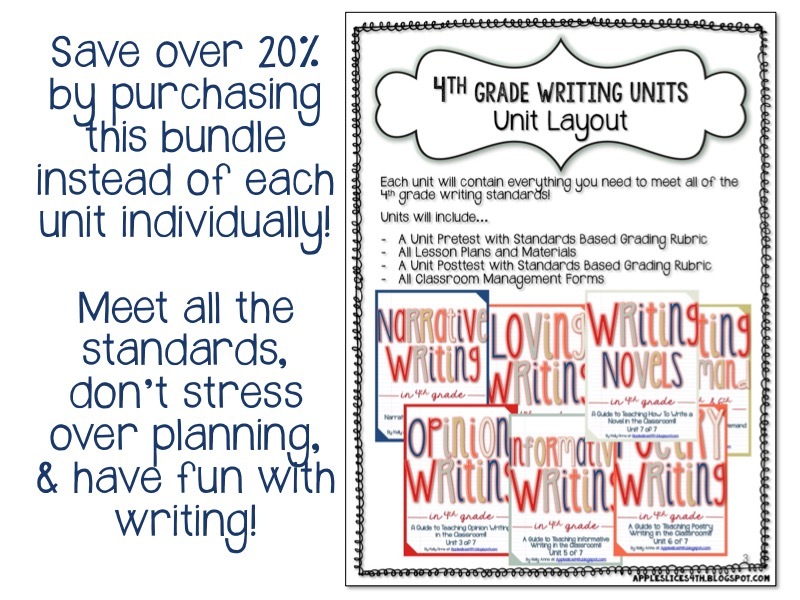 They’re made specifically for YOU, they meet all the Common Core Standards, and provide a rigorous yet FUN writing curriculum for the entire school year. You can buy them individually or save over 20% by purchasing the bundle! 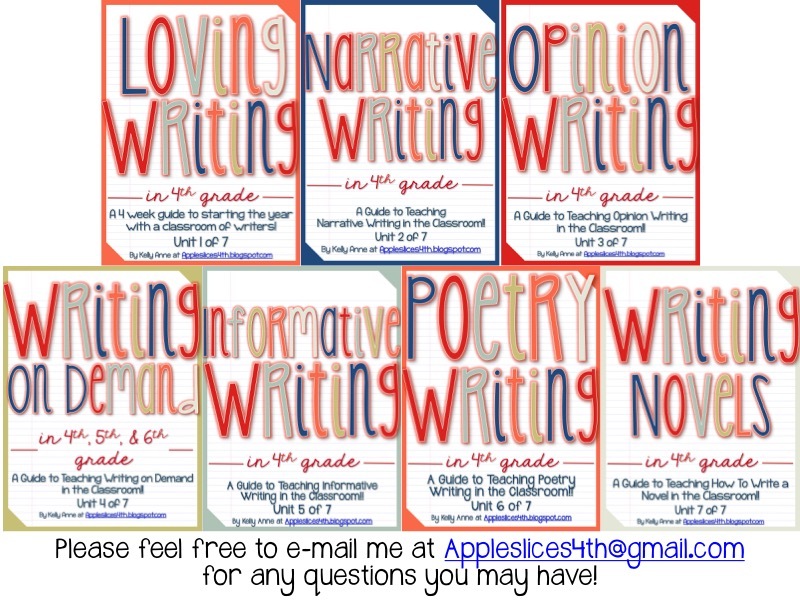 It took me a long time to figure out a writing curriculum that I was happy with, however I can proudly say that I have never had one student who didn’t love to write by the end of the school year. 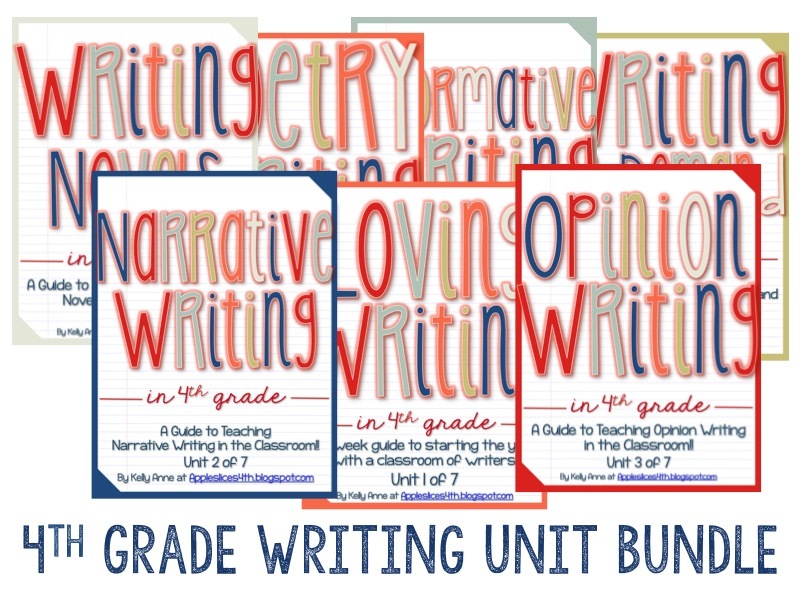 With this fresh approach to teaching writing, you will actually get to build amazing writers! It works with nearly ANY schedule and is very little work for you! 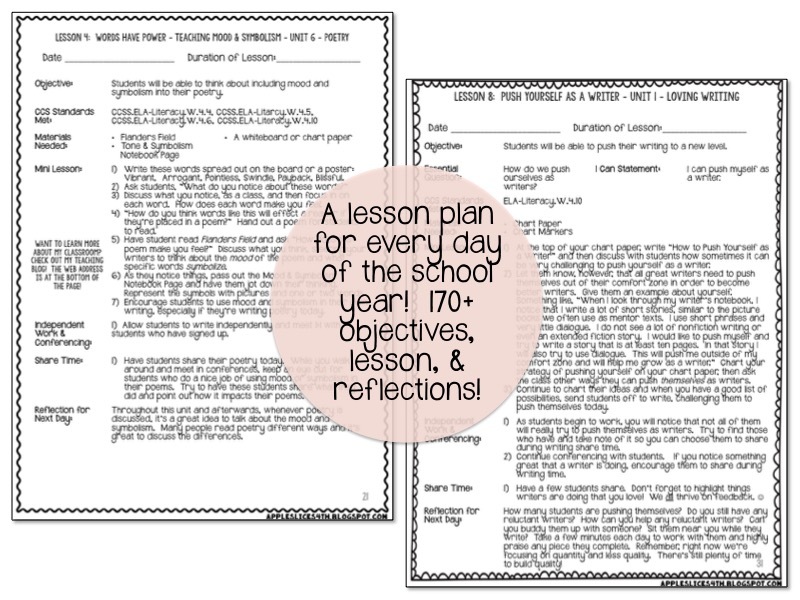 Each unit comes with a daily lesson plan, lasting as long as you need it to (ideally 60 minutes, but also with the realization that this may be unrealistic). 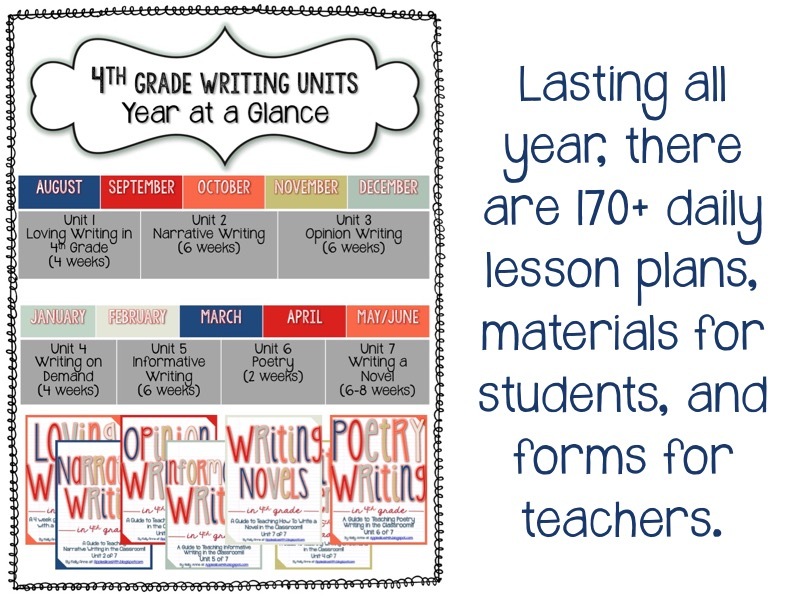 There’s time for a mini-lesson, independent writing, and time to share, teaching students to think about other writing as well as their own. 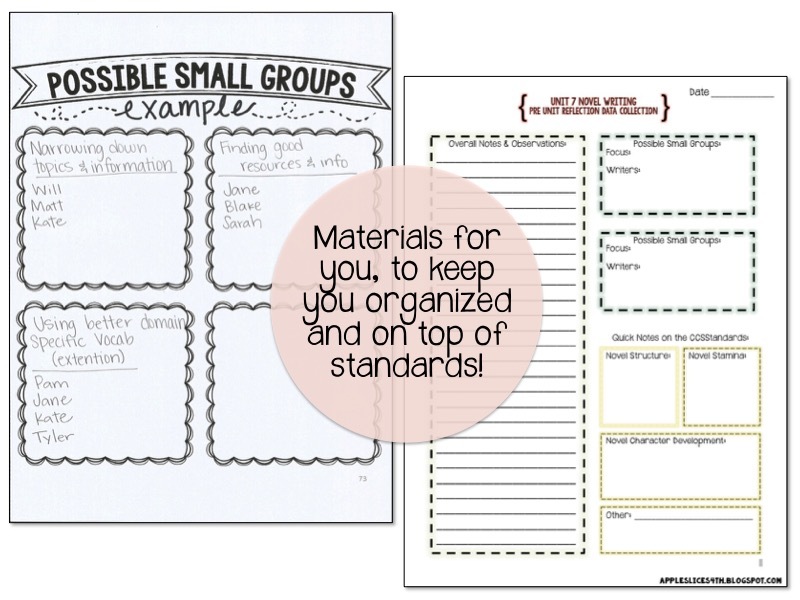 Each unit comes with a specific conference form to help guide you through writing conferences, checklists to help you stay organized, and all pages that your writers will need. Just get them a notebook and you’re good to go! Check more out, below or in my store! !